For the last few weeks, I’ve been discussing the basics of digital accessibility. I’ve explained how headers help visually impaired learners navigate digital materials and pointed at the importance of contextually appropriate alt text. This week I would like to discuss two topics related to video accessibility: captions & transcripts. To meet accessibility standards, all multimedia should include captions for the hard of hearing and transcripts for the visually impaired. Creating captions and transcripts can be challenging. 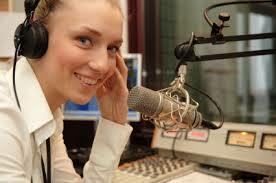 Unlike alt text and headers, creating captions and transcripts can be expensive and time-consuming. Luckily, Google has “come to the rescue” once again. This post will demonstrate how to build free captions and transcripts on YouTube. I will also provide some general presentation tips. Tip: If you plan to caption a significant amount of media, you may want to work with a captioning service. In particular, 3 play media has developed a reputation for working smoothly with higher-ed institutions. Talk to your school’s disability services office to see what captioning options are available. Tip 2: If you are purchasing video content to show in your class (downloads, DVD), make sure to check for subtitles or captioning. In the past I’ve written fairly extensively about digital video creation, specifically discussing how to turn PowerPoint style presentations into web videos. Commonly referred to as a “VOPP” (voice-over PowerPoint), this type of video content has become ubiquitous. 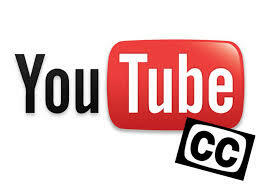 They are cheap to produce, easy to host on YouTube type service and can be built from previously existing lectures. Before discussing captioning and transcripts, I wanted to make a general point about accessibility and VOPPs. While narrating your VOPP, make sure to verbally describe any important visual content. This is a huge timesaver. Presentation transcripts should contain descriptive text (alt text) for all relevant visual content. When recording, mindfully describe the visual aspects of the performance. These descriptions will then be included in your captions. When it comes time to turn your subtitles into transcripts, you will already have the needed visual descriptions! Note: The on-screen text of your presentation should also be considered an optical component that, if relevant, needs to be verbally detailed. Pedagogically speaking, taking the time to describe visual content will benefit all students, not just the visually impaired. Tip: Some people find it helpful to “storyboard” and/or “script” their VOPP. One of the benefits of this preparation, beyond the creation of smooth and practiced presentations, is that it gives instructors time to prep visual content that may require extra explanation. Captions are synchronized text versions of a video’s spoken words. Accessible captions need to provide hard of hearing learners with an “equivalent experience”. This is usually, but not always, accomplished with an exact transcription of the spoken word. However, if a non-verbal sound is contextual important, it should also be included in the captioning. It is critical that captions appear on-screen simultaneously with each matching spoken word. For the sake of simplicity, let’s focus on the two most common captioning formats, “open captions” and “closed captions”. Open captions are burned directly onto a video. These captions cannot be removed by the viewer as they are part of the video image. As a result, no particular media player or software application is required to detect and display these captions. As a result, open captioning the best option for technically challenged end users. Open captioning is common in media designed for hearing impaired students, in theaters presenting plays/operas and in libraries that serve broad constituencies. Closed captions can be turned off and on by a viewer as desired. Closed captioning has two drawbacks. Firstly, it requires a system/application/media player that can detect and display subtitles. Secondly, not all users understand how to turn captions on and off (ex. me with my in-law’s complicated home theater system). 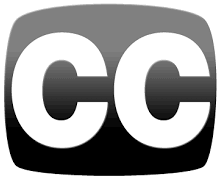 Closed captioning is preferred over open captioning by most viewers, though they may require additional user support in the form of documentation/training. Note: Realtime captioning uses a live stenographer to translates what is being said into captions. This is particularly important for students who’ve lost their ability to hear later in life, i.e. after the age when learning sign language is practical (ex. returning war veterans). Talk to your school’s disability services office to see what options are available. Video captions provide important benefits for all learners. Captions allow videos to be viewed in contexts where sound may be inappropriate (ex. library), or in locations with a high level of ambient sound (ex. airport). Captions have been shown to improve literacy rates by providing students with “additional print exposure“. Captions have been shown to assist in language acquisition. This benefit assumes that the language of both the captions and spoken words are the same. Captions can assist with the digestion of complicated concepts and with the introduction of new vocabulary. Captions help learners who have trouble processing auditory information. Captions make it easier to scan video content for desired information. Things break. Captions support users with damaged sound systems or computers. A study by the UK Office of Communications has indicated that 80% of TV viewers who turn on captions are not hard of hearing. Creating captions can be time consuming and expensive. If you plan on captioning your multimedia content, be sure to budget an appropriate amount of time. If a video’s resolution is low, it may become hard to read the captions. This is usually only an issue when open captioning is used. Though there are established captioning standards, these rules are rarely followed by individual media players and software developers. As a result, captions are sometimes rendered in a variety of strange and confusing ways. This is especially true when videos are captioned in languages other than English. 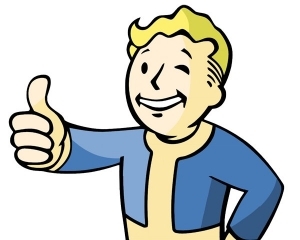 Since 2009, YouTube has provided automatic closed captioning for uploaded videos. It’s actually remarkable easy! Though free to use, it’s ability to fully decode all of the nuances of speech is not perfect. As such, your captions will still require editing to ensure accuracy. There are two ways to add captions on YouTube. If you have a script, you can upload and format your text into captions. If you have no script, YouTube will do it’s best to figure out what is being said. Currently auto-captioning only works in English, Dutch, French, German, Italian, Japanese, Korean, Portuguese, Russian and Spanish. It is considered an accessibility “best practice” to include text transcripts with each video. Transcripts are helpful for all learners, especially for those who have difficulty processing auditory information. Transcriptions should be formatted with proper header structures and contain contextual appropriate alt text. Blind learners often prefer to read a video presentation’s text transcript. Remember, visually impaired users rely on headers to facilitate information navigation and utilize text search features to find specific words/topics. A video, even when captioned, provides none of this functionality. Additionally, experienced users can process a screen reader’s synthesized sounds quicker than a video’s narrator can speak. Similarly, hearing impaired users often prefer to read a transcript over on-screen captions. Transcripts allow for different reading speeds, while captions follow the speed of the narrator. Once you have captioned your video in YouTube, it is easy to export these captions as a text transcript. Step 1: Under the action menu, select and download your transcripts as a .srt file. Step 2: Open this .srt file in a text editor. (I recommend using TextEdit on a mac or simple text on a PC). If you followed the VOPP advice above, your captions will already have visual descriptions (alt text) and you will be happy! When creating multimedia content, captions and transcripts are essential. Remember that hard of hearing learners will need to read captions on the screen and the visually impaired will need descriptive text. Though time-consuming, captions and transcripts benefit all learners in all situations. 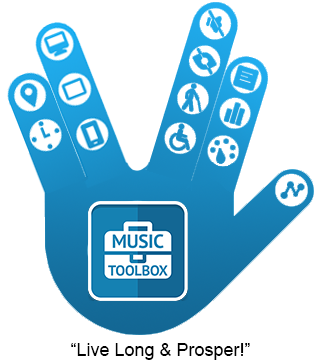 Let’s get out there and be accessibility savvy!